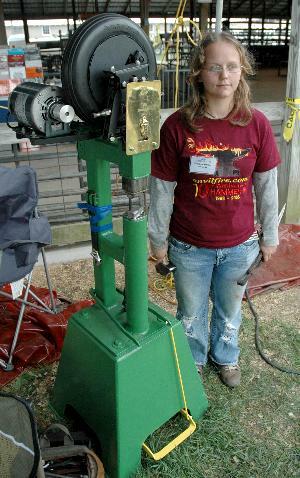 Mini Tire Hammer with Sandra for scale. She is only five feet tall. This was an award to Clay Spencer for his service building tire hammers. 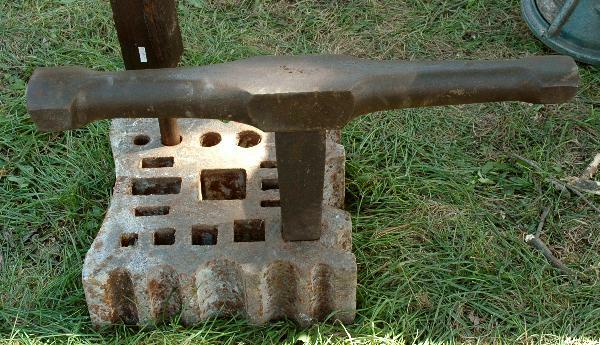 The tire hammer was invented by Ray Clontz of Charlotte, NC. 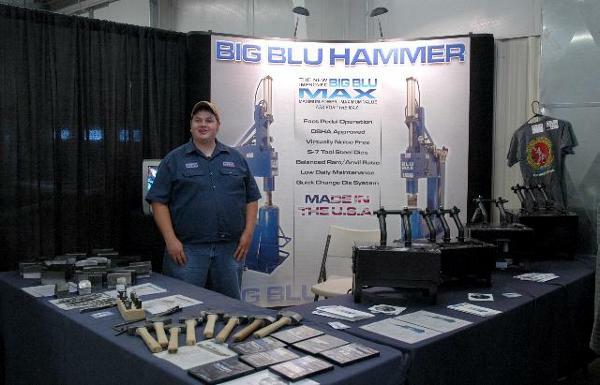 The tire power hammer at the right is one of Clay's shop built hammers. NEXT! 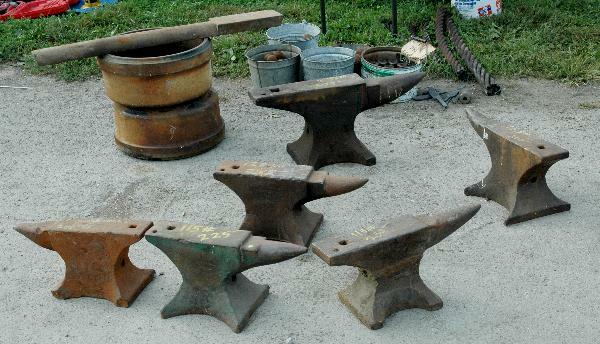 ANviL and hAmmeR HeaDs . .